Berg Jet’s latest frame design is known as the Hyper Jet series. This series is the product of years of Berg Jet experience as leading fan manufacturers coupled with knowledge and research of our R&D team lead by Berg Jet’s CTO, Dr. Jan Berg. Hyper Jet is more than an aesthetic design. The series brings in several new upgrades to the performance of the frame in terms of minimized footprint, very low vibration levels and increased structural integrity. Along with the improved design, Berg Jet has implemented its fully automatic system for calculation of the optimum frame using its in house software, followed by the automatic generation of its 3D model and 2D technical drawings, all done automatically to ensure consistency in design and quick response time to clients. 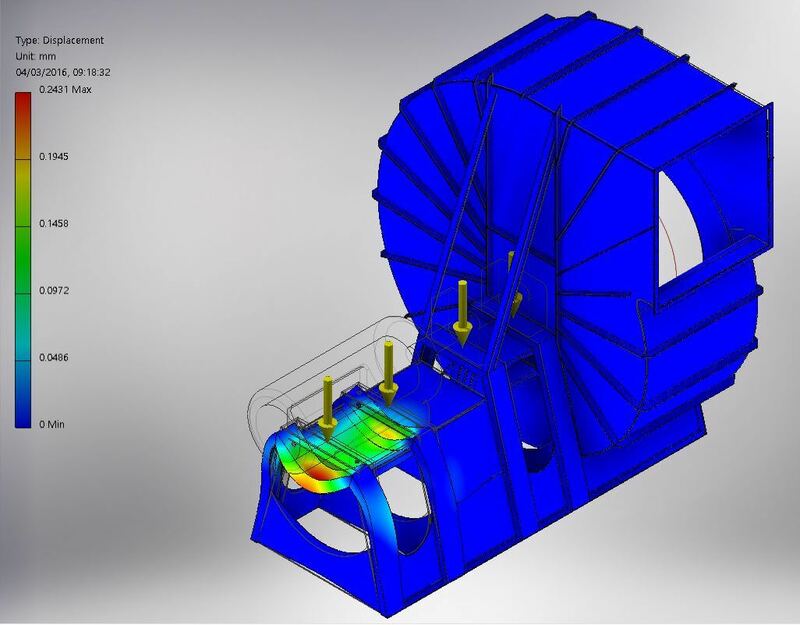 Hyper Jet frame designs are further verified of their integrity using state of the art simulation software. The simulations take the vibration of the house along with all the forces experienced by the frame.